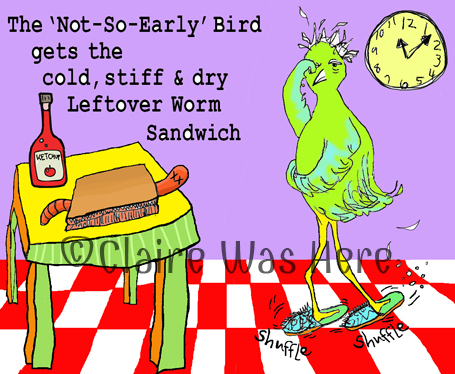 The Not-So-Early-Bird gets the cold stiff & dry leftover worm sandwich. this image is too large for the waffle towels. flat weave only.